Do you like the idea of hosting a birthday party in the park but you’re not quite sure how to keep the party crew together in one spot? Here’s a solution: hire a mobile party host to entertain the children. Yep, even in the park! That’s exactly what we did for our little boy who recently turned four. 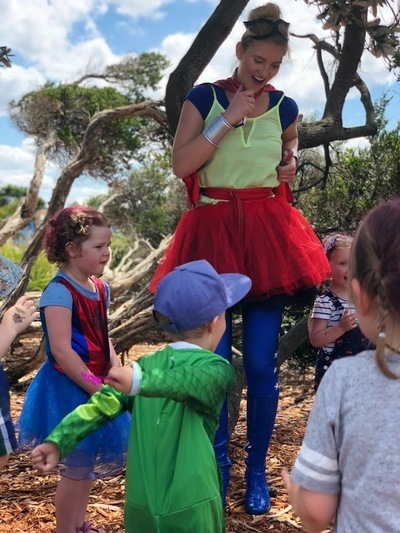 Thanks to Waggle Dance we arranged a ‘Thrilling Superhero Birthday Party' and had Dino Girl arrive for an hour of non-stop entertainment in our local park. To give you a little background on Dino Girl, this is a combination of our son's two loves; superheroes and dinosaurs. 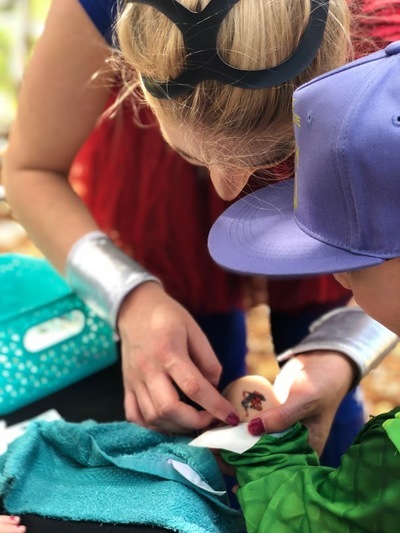 When I fed this superhero-dino information to Waggle Dance, our host for the day Sumari digested the "brief" and arrived as Dino Girl - perfect! Even in the scorching early summer heat, Dino Girl kept all children busy the entire time. 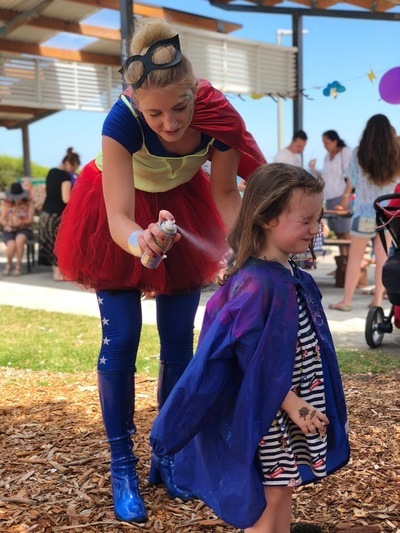 The hour-long entertainment had the kids playing fun games such as the tug o' war and what's the time Mr Wolf, mixed in with down times when Dino Girl sprayed happy children's hair in multi-colour and adorned arms with temporary tattoos. This group of kiddos had the best time. 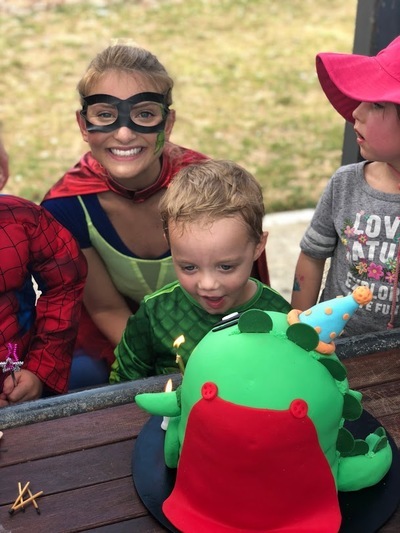 Naturally hosting your child's birthday party is never going to be relaxing, but in this instance, there were opportunities to sit back and watch the fun unfold, with even a few snippets of times to catch up with fellow parents too. Hooray. We have a feeling our little boy will be talking about his party for many years to come. It's a wonderful memory to have and very much in line with our ideals to "collect memories and not things" with our children. Consider Waggle Dance party entertainment for your child’s next birthday. 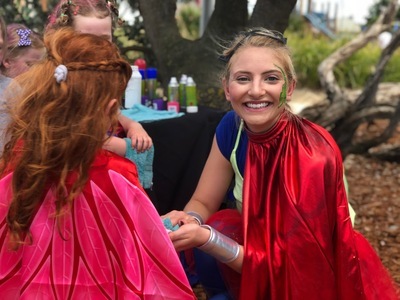 The cost for an hour entertainment is around the same price as an indoor playcentre party and this option is much more personal, interactive and dare we say more memorable. 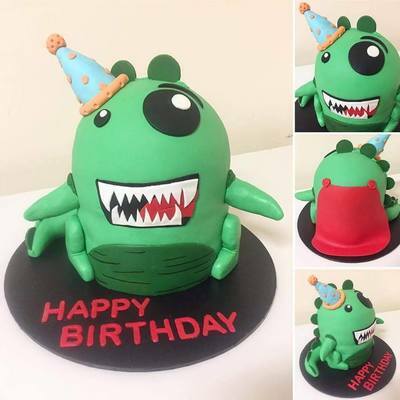 Rather than search the net for your child's next party idea, stop by Waggle Dance and see what wonderfully unique opportunities are available to celebrate your child's coming of age. Go to waggledance.com.au and see what amazing experiences are on offer; you'll be glad you did. This is not the first time we have booked Waggle Dance to entertain at our childrens' birthday parties and we hope this won't be the last. Previously, we've booked the Medieval Sword Fighting Party and Giant Bubble Party. All three parties have been everything we could've wanted for our children. Three cheers for Waggle Dance.